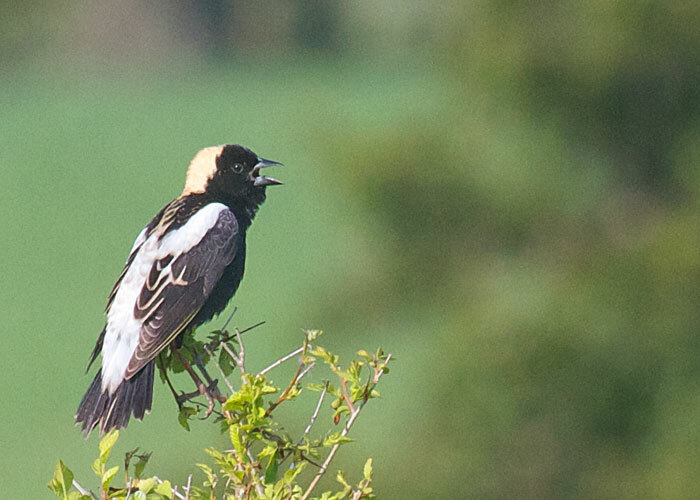 In the grassy field, half a dozen male bobolinks are singing like mad. They fly and sing as they fly and then fly back and land where they started. Clearly the purpose is pure display, to show the great white patches on their backs, and the buff puffball of a cap. I know the females hidden down in the grass are impressed. The human one is impressed also. 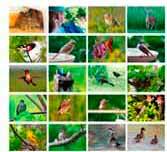 Birds are just as much fun to recognize by their distinctive songs as by their colors.